From August 8-15 2018, Courseulles-sur-Mer and others cities of the Côte de Nacre region will host the 13th annual Acadian Week festival. 3:30 pm: Parade of American cars and motorcycles from the centre of town to the Juno Beach Centre. 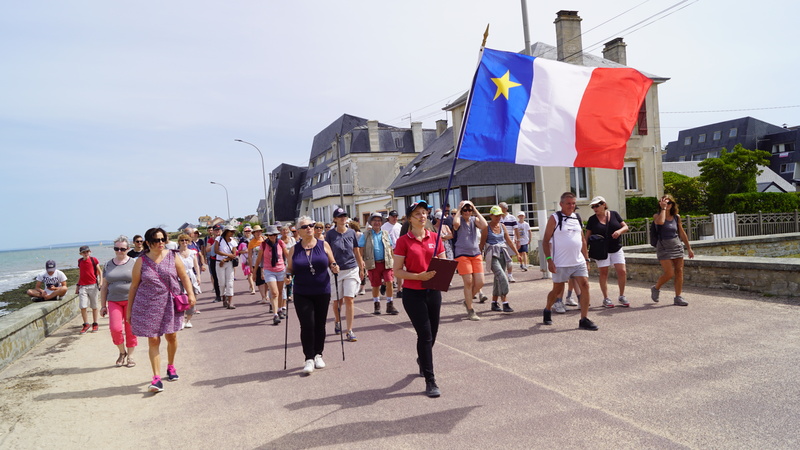 2 pm: “L’Acadienne”, a guided walking tour from Saint-Aubin-sur Mer to the Juno Beach Centre in Courseulles-sur-Mer – Start Square des Canadiens / Saint-Aubin-sur-Mer. The ceremony and all the free events are in French only.